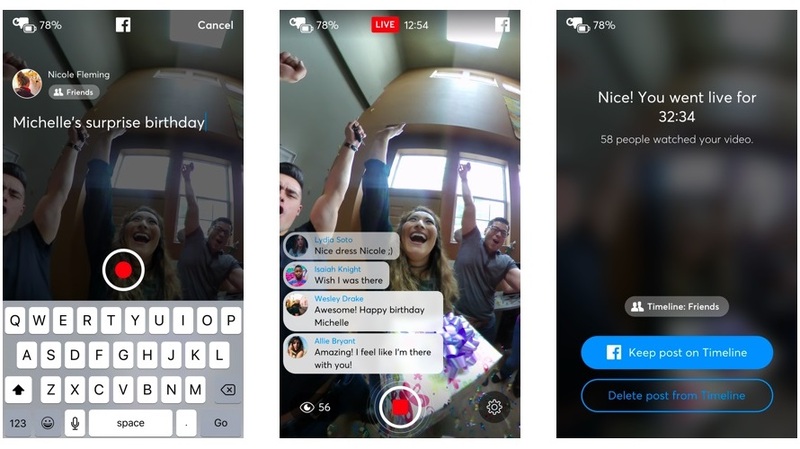 Facebook Live 360 debuted on select pages last December, and the social network announced Wednesday that the feature is now available globally to all profiles and pages. Facebook also announced that the Audio 360 spatial audio capability it introduced last October will be “coming soon” to cameras with integrated Live 360 support, or users will be able to include it manually via ambisonic microphones. Live 360-compatible cameras currently include (pictured below, respectively) the Samsung Gear 360 (2017), Giroptic IO, Insta360, ALLie Camera, Z CAM S1 and Nokia Ozo, and the social network said it will continue to work with manufacturers to expand this list. Going live on Facebook with a 360 camera takes a few simple steps: Log in to Facebook, set post privacy and write a description, and then once live, see comments and Reactions—all directly from the camera interface. With the global rollout of Live 360, we’re also introducing spatial audio, which gives viewers the ability to experience 360-degree sound just as they would in real life. To start a Live 360 broadcast on Facebook, simply follow the steps on one of the mobile cameras listed above or generate a stream for stand-alone cameras here. You can also head to our website to download our step-by-step Live 360 guide and check out some best practices for getting the most out of Live 360.